01:23am (local time) on April 26, 1986 at the Chernobyl nuclear power plant in Pripyat, Ukraine. It is regarded as the worst accident in the history of nuclear power. Because there was no containment building, a plume of radioactive fallout drifted over parts of the western Soviet Union, Eastern and Western Europe, Scandinavia, the British Isles, and eastern North America. Large areas of Ukraine, Belarus, and Russia were badly contaminated, resulting in the evacuation and resettlement of over 336,000 people. About 60% of the radioactive fallout landed in Belarus according to official post-Sovietic data . According to the 2006 TORCH report, half of the radioactive fallout landed outside those three Soviet countries  . The disaster released over four hundred times more radiation than the atomic bomb of Hiroshima. 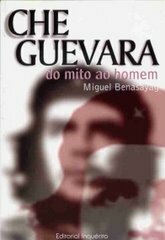 Bem... estas efemérides devem ser recordadas e fizeste bem, eu infelizmente embrenhei-me com outra coisa e passou-me. Realmente que nunca mais se repita. Por muito que o dono da mota ali de baixo tenha ficado triste, Chernobyl, sim, foi uma catástrofe bem maior. Mas não foi azar... foi incuria, desleixo, estupidez e muitas outras coisas mais. Convem lembrar esta tragédia.. que por muito que não queiramos admitir.. está à beira de acontecer novamente..
Toda a estrutura que envolve a area afectada está bastante debilitada..